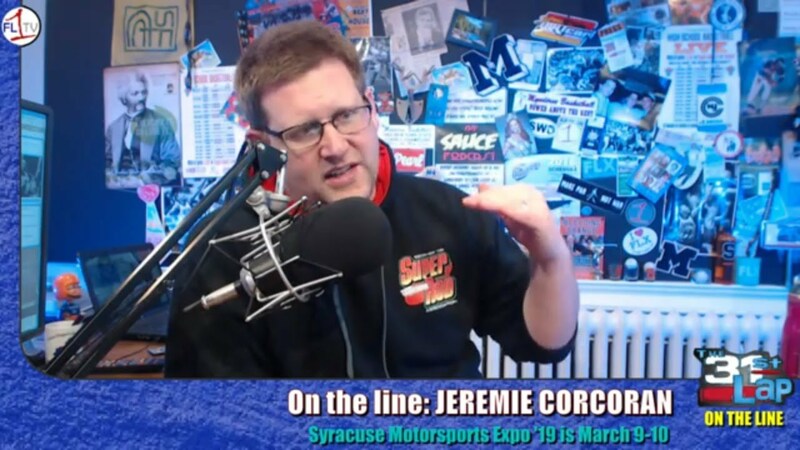 We talk with Canandaigua Motorsports Park GM Jeremie Corcoran, and then catch up Dean Reynolds, with Lucas Oil Empire Super Sprints.We talk with Canandaigua Motorsports Park GM Jeremie Corcoran, and then catch up Dean Reynolds, with Lucas Oil Empire Super Sprints. This week, we chat with first-time guest Frank ‘Bubba’ Burnell. We’ll also check in with Jeff Hachmann of DIRTcar. We dive into a diverse mailbag, talk about Rich’s upcoming Sportsman endeavors and the wonders of Steak-flavored Great Value brand Potato Chips. The mailbag prompts a spirited discussion between Rich and John on safety, and then age of kids allowed in the pit area. At Grandview, Duane Howard flipped in his heat race, and started 27th. He rallied to finish 2nd, and wrapped up the track title and the American Racer Cup, his second in three seasons. Sept 10 at 11:30 am, the DIRTcar Modifieds will parade through Syracuse, starting at Destiny USA as prep for Super DIRT Week.